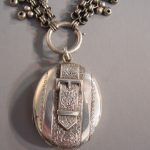 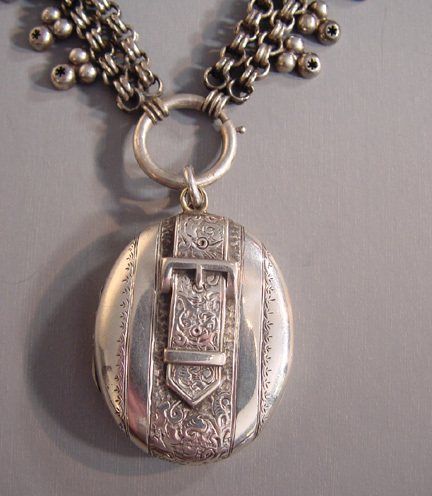 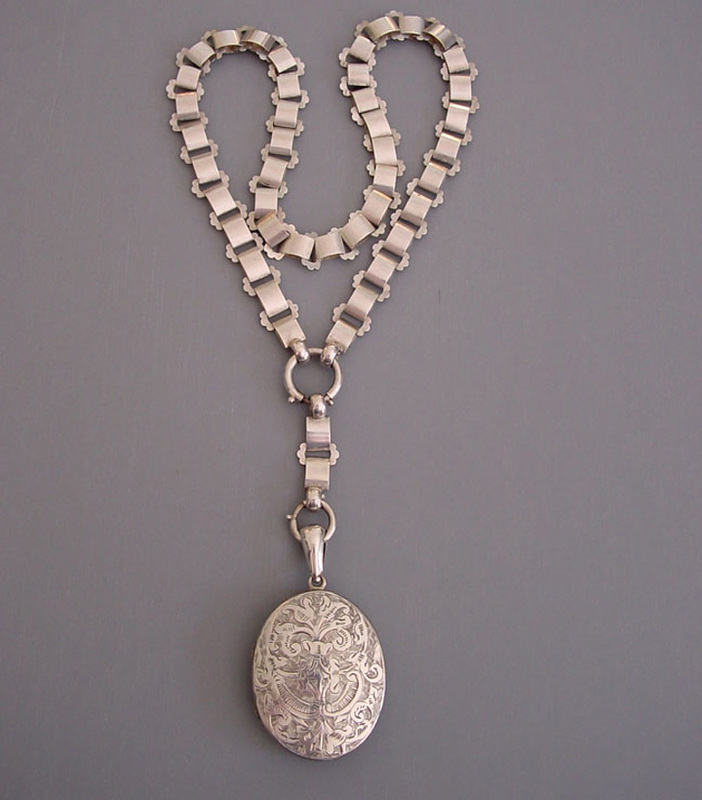 VICTORIAN sterling silver buckle locket and trefoil collar circa 1880. 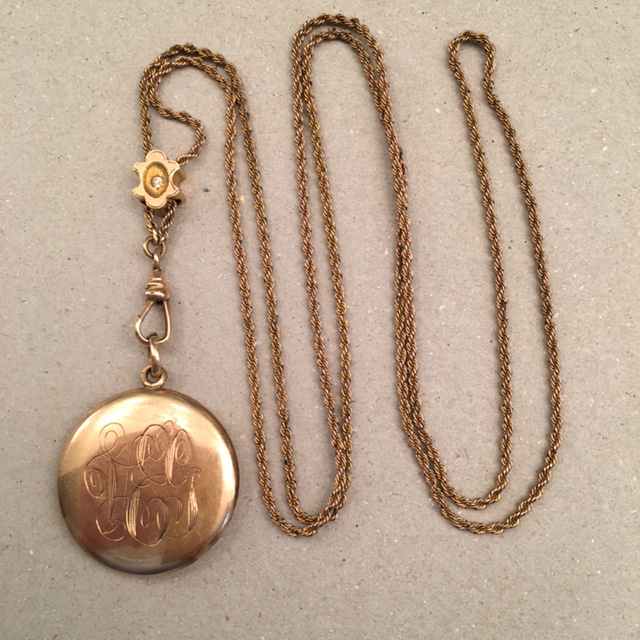 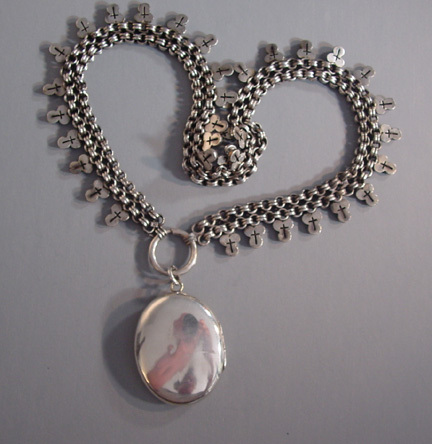 There are fittings for two photos inside but no glass covers, and one small shallow dimple on the back of the locket. 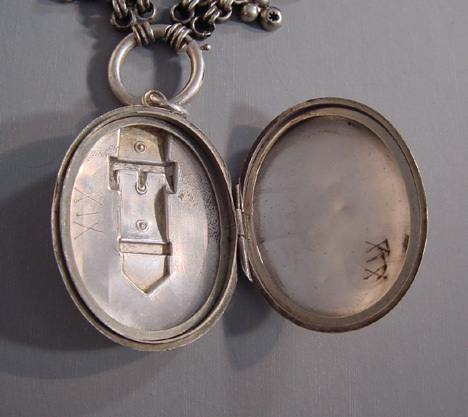 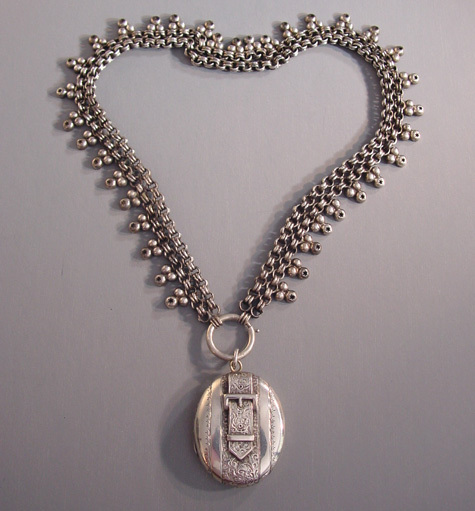 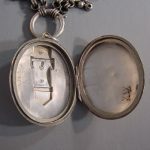 The locket is 1-1/2" by 1-1/4". 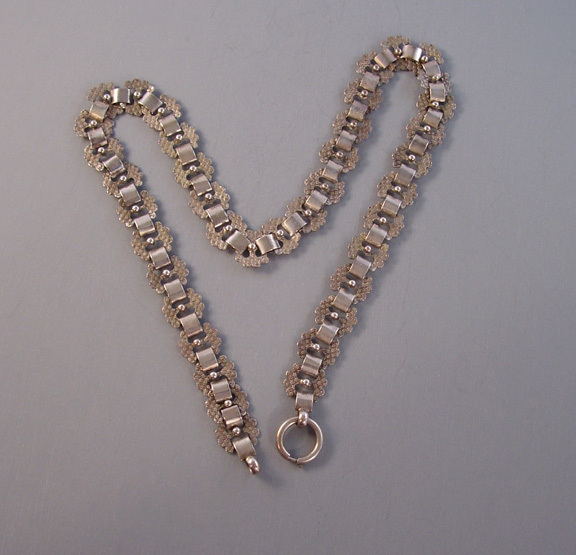 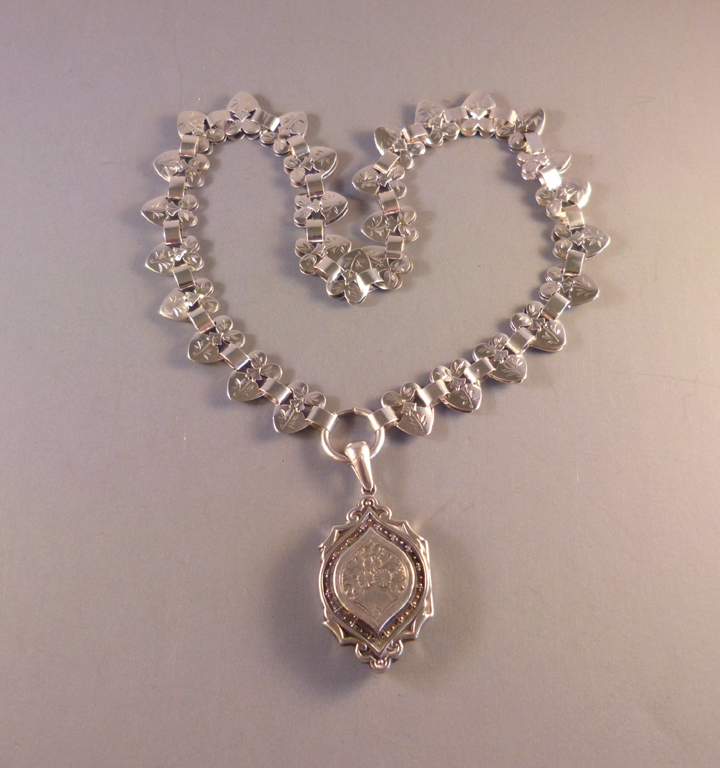 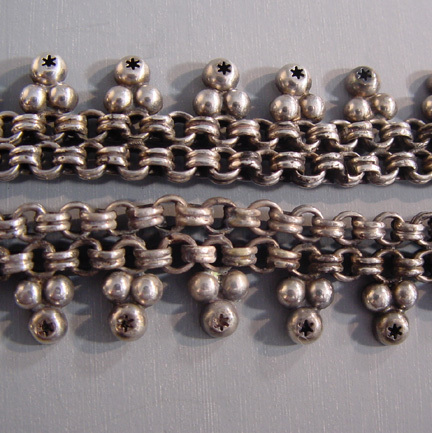 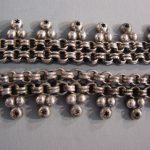 The silver collar has trefoil edges with pierced stars and woven chain, 16-3/4" by 5/8".